What's more annoying than men's footwear that takes forever just to get on your feet? Pretty much nothing, especially if you're in a position that requires speediness. 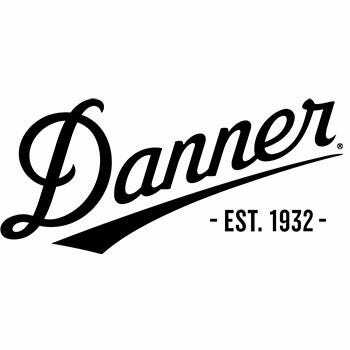 Try these Danner Men's 43031 Striker Torrent Side Zip Military Waterproof Black Boots and find ou ... (see full details) (see specifications) #DNN43031. What's more annoying than men's footwear that takes forever just to get on your feet? Pretty much nothing, especially if you're in a position that requires speediness. Try these Danner Men's 43031 Striker Torrent Side Zip Military Waterproof Black Boots and find out just how easy it is to get your work footwear on fast. These Danner boots are made with a full-grain, all-leather uppers that can be polished, so you'll have the shiniest leather footwear around. They're also durable and will last through many, many wears. The laces on these Torrent boots are speed laces with a fastening system, including lace garages, that all give you a secure fit, so even though you get them on and ready to go quickly doesn't mean that they'll be sloppy. Now that you know you won't have to waste anytime getting these men's boots on, what other benefits do they have you may be wondering. Well, they're waterproof for one. These waterproof boots have a GORE-TEX lining that's 100% waterproof and breathable, so not only will your feet stay dry, but they'll be comfortable as well. These black boots also have nylon shanks to help keep your feet supported throughout your day. New DAnner TFX-8 platforms is the lightest weight and most versatile TFX construction that features a cross-stitch design. It provides added durability and stability in the lateral toe and medial heel pivot zones. The side-zips on these Striker boots is semi-locking and the midsoles gives your feet amazing cushioning. When you wear these you'll feel like you're walking, or running, on the clouds! The footbeds are removable and the 8-inch height is perfect for all that military action. Vibram Striker Torrent outsoles feature 360-degree pentagonal low lug pattern for excellent grip in all directions. There are flex notches in key pivot areas and a more rugged outer lug pattern that sheds water and provides maximum surface contact. Wear these Danner Men's 43031 Striker Torrent Side Zip Military Black Slip-Resistant Boots and be able to get ready quicker than ever before. And don't forget all the other great features...get your pair today! Danner Boots: Men's 43031 Black Waterproof Striker Torrent Side Zip Military Boots is being added to your cart.